Al Anabi Racing is a household name in drag racing and Motorsports in the Middle East. Until today, we hadn't come to touch with their buggy tuning projects that has been on-going for a while now at the industrial area godowns.Sad! Known in the industry to supply all aftermarket automotive performance needs and skilled team of technicians that can provide any race program with unlimited performance gains unrivalled in the entire region,it was evident that the Redline's Performance customized Funco GTQ buggy Project would somehow find its way here in Doha,Qatar. Funco Motorsports is known in the industry for their production of high quality sand cars over the past decades. With a whole line up of sand cars to fit everybody's sand driving style. We have spotted a couple of these funcos here in the heart of the dessert(stay tuned for more). But we hadn't set eyes on the Funco's newest creation the 'GTQ' on a dyno. Insane drifting engulf the Gulf these next weekends! After some little of filming and quick chat with the tuner,we found out that this V8 Supercharged GTQ means business! We spotted it throw fire balls in a dyno tune here in Qatar. Guess how much power? 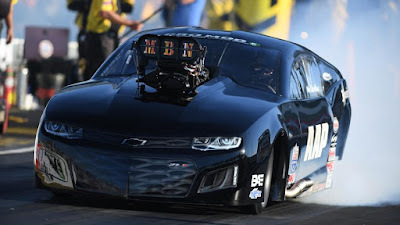 Mike Castellana establishes a New NHRA Pro Mod ET Record AGAIN!!! SUNSET CHASERS: QATAR SUPERCARS CAR MEET! TODD TUTTEROW WITH A FIRST NHRA WALLY AS STEVE JACKSON SET NHRA NEW ET IN GAINSVILLE! Richie Stevens Jr new NHRA legal Jerry Bickel Pro Mod! DRIFTING A LAMBORGHINI INTO THE WALLS! DESTROYING USD32K REAR DIFFUSER!! First Nitro Funny Car to race in Qatar! HOW A NITRO FUNNY CAR WORKS - NHRA ANNOUNCER ALAN REINHART! [VIDEO] NMK Performance full-build 1000HP BMW E30 comes to life in Qatar Racing Club! Nissan GT-R Driver Dead After 200-MPH Crash at Questionable Runway Race!